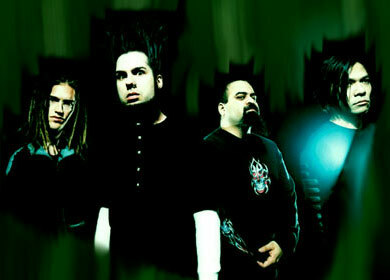 Static-X Biography, Discography, Music News on 100 XR - The Net's #1 Rock Station!!! The Los Angeles, California USA-based Alternative-Metal act Static-X, began life in Chicago where vocalist+guitarist Wayne Static met drummer Ken Jay; the two decided to start a band and after relocating to L.A. in 1996 they recruited guitarist Koichi Fukada and bassist Tony Campos. The group's live shows gradually built a loyal fan base on the West Coast club circuit, they recorded a couple of demo tapes and eventually signed a deal with Warner Bros Records in February 1998. The next year saw the release of their first full-length album, "Wisconsin Death Trip", which cracked The Billboard Top 200 chart and hit the top spot of the Billboard's Heatseekers list; the main single, "Push It", peaked at #20 on The Mainstream Rock chart and "Bled For Days" gained valuable exposure on the soundtrack of horror movie "Bride Of Chucky", hitting the top 40 of the Billboard's Active Rock chart. Fukada decided to leave the group to spend more time with his family, he was quickly replaced by former Dope guitarist Tripp Eise; Static-X then hit the road for over two years opening for Slipknot in Europe and in May of 2001 released their second CD, "Machine" which rose to #11 on The Billboard 200 Albums chart, it generated no less than three Mainstream Rock top 40 singles: "This Is Not", "Black And White" and "Cold"; the quartet continued to tour incessantly and in the summer of 2002 joined Sevendust, Powerman 5000 and Nonpoint on the Locobazooka music festival. The band's third album, "Shadow Zone", which arrived the following year in October, climbed into the top 20 of The Billboard Top 200 list spawning a couple of singles, "The Only" peaked at #22 on The Mainstream Rock chart, it was followed by the Active Rock top 40 hit, "So". 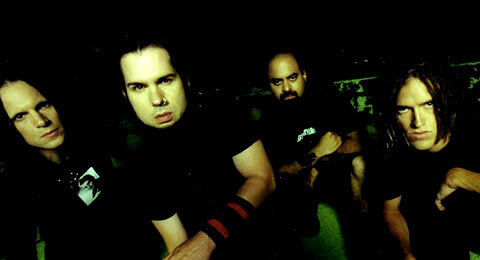 In mid-2004, Static-X, issued the collection of rarities, remixes and demos entitled "Beneath... Between... Beyond...", the set reached the #139 slot on the U.S. Top 200 chart. In spring 2005 former guitarist Koichi Fukuda returned to the fold and the fourth Static-X album, "Start A War", was released in June, that same year; it was the group's first release with new drummer Nick Oshiro, the disc peaked at #29 on The Billboard 200 Albums chart producing two Mainstream Rock top 30 hits: "I'm The One" and "Dirthouse". April 2007 saw Static-X release its new album, "Cannibal"; the 12-track set includes the throat-punching Hot Mainstream Rock top 30 hit "Destroyer".